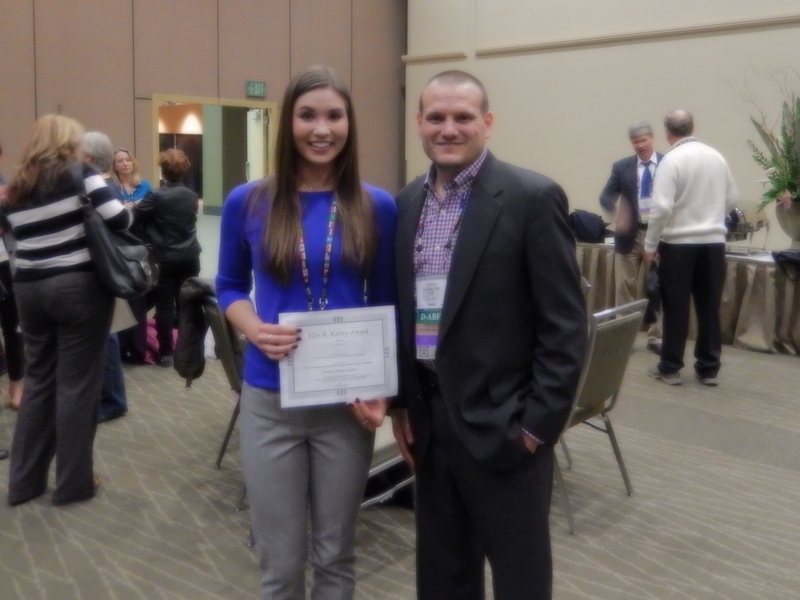 At the 66th Annual Meeting of the American Academy of Forensic Sciences in Seattle in February 2014, the Ellis R. Kerley Foundation announced MSU anthropology major Mariyam (Mari) Isa as the youngest ever winner of the Ellis R. Kerley award. Mari’s paper, titled “Fracture Initiation and Propagation in Pediatric Blunt Cranial Trauma” focused on the importance of the accurate interpretation of skull fractures, especially in cases of suspected child abuse (abstract on page 418). The paper was a multidisciplinary effort involving the MSU Forensic Anthropology Laboratory, Sparrow Hospital Pathology, MSU Orthopaedic Biomechanics Laboratories, and the Harris County Institute of Forensic Sciences. The work was supported by a grant from the National Institute of Justice. Citation: Isa MI, Fenton TW, Vollner JM, Niespodziewanski E, Love JC, deJong JL, DeLand TS, Haut RC. 2014. Fracture Initiation and Propagation in Pediatric Blunt Cranial Trauma. In: Proceedings of the American Academy of Forensic Sciences. Seattle. p 418. Mari Isa (left) with Dr. Christian Crowder of the Office of the Armed Forces Medical Examiner (right), a board member of the Ellis R. Kerley Foundation.